How many times has a friend, a relative or a colleague asked me to recommend a good hospice in Reno or Redding or Rockford and I was flummoxed. Even if I knew the medical director or the executive director from work on national committees and thought he or she was a great, what did I really know about the quality of service provided by their hospice? I often wished I could have access to the kind of data I typically review when consulting with a hospice - their length of stay, proportion of patients living in a nursing home, proportion of patients discharged alive, readiness to provide continuous care, robustness of the on-call service, etc. Now, at least some of that information is available on-line through a website developed by the Washington Post. The key information in the new Consumer Guide to Hospice is taken from Medicare cost reports and "other sources." One can see the size of the hospice, age, ownership type, amount of continuous care or general inpatient care provided, and spending per day on therapy, doctors, and nursing. 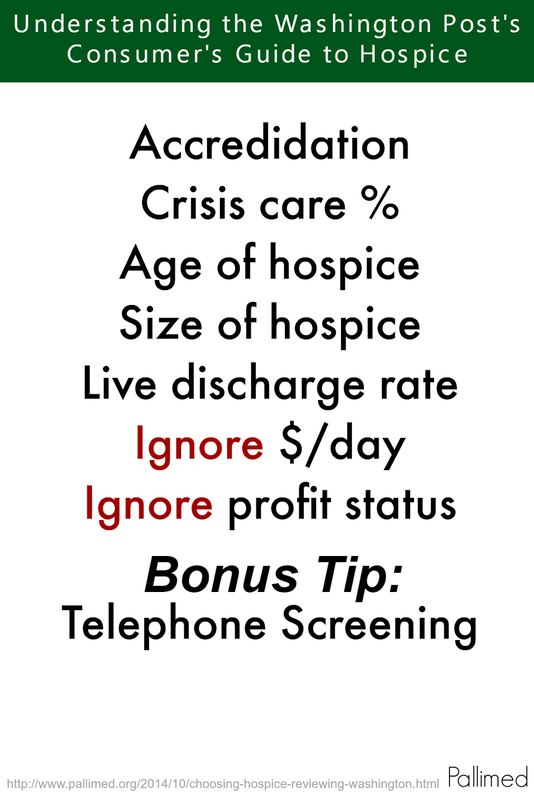 The database also reports a hospice's "profit" per day, a label I find highly misleading (more on that below). In a limited way, yes. I would advise people to look first at accreditation status. Only 40% of hospices are accredited, and I would always lean towards an accredited program when available. Although accreditation tends to focus more on structure and processes than on outcomes, a program that has been accredited has had objective outside reviewers who have given it a stamp of approval. That speaks to a program's willingness to open itself to review and, hopefully, improvement. Next, focus on size and age of the hospice. As in almost every other part of medicine, practice is linked to higher quality. Experience - gained over time and gained over a number of cases, usually helps build both individual clinician expertise and organizational/team expertise. Very new and very small hospices are unlikely to have the breadth of experience and the depth of resources to assist with challenging or unusual circumstances. Unless I had a specific reason to know that a very small or very new hospice had a service or skill that was needed (such as a new pediatric service or a new hospice residence), I would stick with hospices with experience of at least 5 years (10 years is even better) and volume of at least 80 patients per day. Not always possible in a rural area - but rural areas may not offer a choice in any case. Third, I would advise people to look at the proportion of "crisis care" - which I surmise was calculated as the number of continuous care and general inpatient days as a proportion of total days. (I cannot find specific methods notes explaining exactly how items were calculated - a drawback to the site.) The limitation in the "crisis care" number reported is it doesn't distinguish between continuous care at home and general inpatient care in a facility. A hospice which handles almost all crises in a contract hospital bed is not the same as one able to put in continuous care nursing in the home with a few hours notice - but patient's may strongly prefer one over another. Still, I'd want to pick a hospice that demonstrated it had SOME capacity that it used for crises care, rather than picking from the 14% of hospices that provided no crises care. Third, I'd look at the "live discharge" rate. The Post justifies this number saying that large number of people leaving a hospice may indicate they are unhappy with the care and services. Maybe. More likely it represents a hospice had a very (maybe overly) open admission policy, taking people too early and too "healthy" and then discharging them. I would actually select hospices that had live discharge rates in the 10% to 20% range. Too few live discharges likely means the hospice is too tight and guarded in who they accept, and not willing to bend flexibly to each patient and family's needs. But too high a discharge rate - let's say over about one third - makes me uncomfortable too. Stay in the middle on this indicator. Fourth - I would advise NOT looking at the $ per day. The data likely comes from the Medicare Hospice Cost Reports, which have all kinds of issues in how data is reported, especially when hospices run their own inpatient units. The so called "profit" is especially misleading. I can't tell exactly how the Washington Post calculated the number - but if, as I guess, it is everything left over after "allowable" Medicare costs, it is in no way all "profit" for a hospice. Recall, hospices are required to provide bereavement services without Medicare reimbursement. Many hospices plow money left over after nursing and doctor and therapy costs into community bereavement services, extensive community education, bridge programs, or other community services. The "profit" number doesn't give any indication whether these dollars are truly "profit" being returned to shareholders, reserves begin saved for a rainy day, or carefully husbanded resources that fund additional community services. As interesting as it is, I'd ignore that information when choosing a hospice. The Consumer Guide allows you to filter by ownership status at the very start of a query, which seems to imply that ownership status ought to be part of one's consideration. But I don't find ownership status to be a very useful indicator. It's true that a lot of Medpac's recent policy analysis has focused on differences between not-for-profit and for-profit providers, and that some concerning trends are associated with for-profit providers. But in my experience there are both good and not-so-good providers in both groups, and ownership status is not nearly as helpful in distinguishing between them as the other factors mentioned above. Many in our community have been upset at the way that the ongoing Washington Post series has emphasized problems in hospice care. I agree that those problems are not the rule - but we also can't ignore them. Giving consumers - and us, the supposed experts - the information to begin to sort out who is operating way outside of the norm - is a helpful step. I applaud the Washington Post for making this information accessible. PS. Make sure your hospice checks - and corrects, if necessary - the information displayed about it. We have already heard from some organizations who noticed errant information for their site. 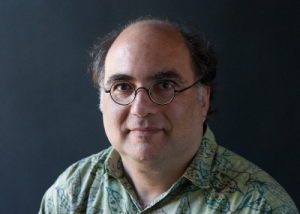 In his solo performance "Reports from the Zen Hospice," storyteller/monologist Josh Kornbluth shares stories heard and lessons learned as a newbie hospice volunteer and artist-in-residence at the Zen Hospice Project in San Francisco. Having had no direct experience with death and dying, he at first did not know what he could do to help at the hospice. Death was out of mind, separate, distant. His father's funeral years ago seemed more like a movie in which family members were extras and Dad was the "prop" devoid of the astonishing individuality and quirkiness. "Death has always felt," Kornbluth said, "..kind of like the sun: something that's there but you don't (can't?) look at it. Well, you can look at it..with the same eyes, and mind and heart, that take in the infinitely astonishing joyful miracle of a child's birth." As he spent time with the "residents" (not "patients"), he soon came to know them as people full of personality and stories. He shares some of these stories--Donna, once homeless and now wracked with pain but who sat up in bed whenever Jerry Springer was on TV; George, who jokingly called his distended abdominal tumor was his "baby"; Diane, whose dying wish was to eat the lunch special, a bottomless salad bowl, at Olive Garden. These people, the dying, were very much alive, moment by moment. And Kornbluth learned that he didn't need to do something. He..and they..could just be. As a storyteller, he perceived the urgency these people had to define their narrative, to find the story of who they were in the world. The ballet dancer. The grandfather. The woman who survived a hard life on the streets. All of these people died; beds were opened up and quickly filled, then soon empty again. And sitting with a dead person you watched TV with, or played games with, or simply listened to was natural, even beautiful as you realize that the essence of that person was no longer in room, just a body. "We are all finite," he says, "but the bowl is bottomless." Note: Hospice monologues as performance is becoming more prevalent. For example, The Soul of the Living and Dying, through Storyhealers International. Today I want to take a moment to recognize Dr. David Oliver. Some of you may have read the Pallimed post from June 2013, which introduced Dr. Oliver and his wife Dr. Debbie Parker-Oliver, both professors and researchers at the University of Missouri. Throughout their careers both David and Debbie have made several important contributions to the field of Hospice and Palliative Medicine. But perhaps one of the bravest contributions David has made to this field has been through his own journey with cancer. In 2012, David was diagnosed with stage 4 nasopharyngeal cancer, and like the true educator that he is, he has continued to share his experiences every step of the way. He has done so through a video blog with entries marking important decisions and turning points in his illness. The beauty in David’s story lies in his willingness to be vulnerable and to share things about his illness that many people are afraid to discuss. He keeps no secrets and because of that he has empowered countless patients, caregivers and medical providers to be equally open and brave. On October 5th, David posted an important video blog: "Hospice: Its Time." He talks about his decision to go on hospice and his recognition that the end is near. It is perhaps one of the most important posts he has made and the message is in keeping with the authentic and wonderful person that David is. It was just recently announced that David and Debbie will both receive the AAHPM PDIA Palliative Medicine Community Leadership Award at the 2015 AAHPM / HPNA Annual Assembly on Thursday, February 26th. David has also written a book about his experiences titled Exit Strategy: Depriving Death of Its Strangeness, which can be found online at on Nook, iTunes or multiple formats at Smashwords for $4.99. Mariah Dewsnap-Dreisinger is a recent graduate of medical school from the University of Missouri-Columbia where she had the opportunity to work alongside Dr. Oliver on several projects. Her favorite recent memory with him was getting him on the dance floor for a couple of minutes at her wedding celebration in May 2014. She is completing a one-year post-doctoral fellowship at the University of Texas Health Science Center at San Antonio and will be entering a primary care residency in 2015 with the goal of pursuing a career in Geriatrics and Hospice and Palliative Medicine. What started off as a simple idea to play up the friendly rivalries between cities, was not only really fun but also enlightening. First off, it was nice to talk about something besides just our work. Just like personal self-care, it is nice to take a break from only focusing on pain, suffering, illness, and death, instead having a little bit of fun. In addition to the fun, it was nice to see some of the HPC world play along. We both had a few notable defections to the other side and some trash-talking gamesmanship from people across social media. Lastly, it was an important lesson in tying our work to things that are important to the public-at-large. Maybe in the future we will see some of our larger palliative care and hospice organizations jump on the friendly sports wager bandwagon bringing more public attention to the good work that all of us do each day. Imagine if the Kansas City Hospice and Palliative Care and the Zen Hospice Project of San Francisco volunteers offered some of their unique projects in a charitable side bet. Or maybe, the palliative care departments of UCSF and the University of Kansas (*the Royals do play in Kansas City, Missouri FYI) put a grand rounds guest speaker on the line, in addition to local wares and treats. You don't have to have a blog to do this. So when the NFL, NHL, MLS, NBA, MLB championships are on the line, let's get creative and spread our good work to new audiences that doesn't always have to focus on our expertise. If you do make one of these fun wagers, please let us know. We will be happy to feature it! Don't forget to look for our three guest posts coming from GeriPal to Pallimed in November and December and four of our writers sharing their work with GeriPal. Here you go Geripal, I believe this is yours! In closing, here is a quote sent to me by Earl Quijada towards the end of the game last night. He rightfully pointed out there is plenty in this quote to align with our work in hospice and palliative care. I always assess patients for pain. I believe all hospice and palliative care social workers should assess the patient’s pain during every visit. While some believe pain assessment is a best practice for social work assessments, not every hospice manager agrees. Unfortunately, some managers may even consider this a boundary violation. 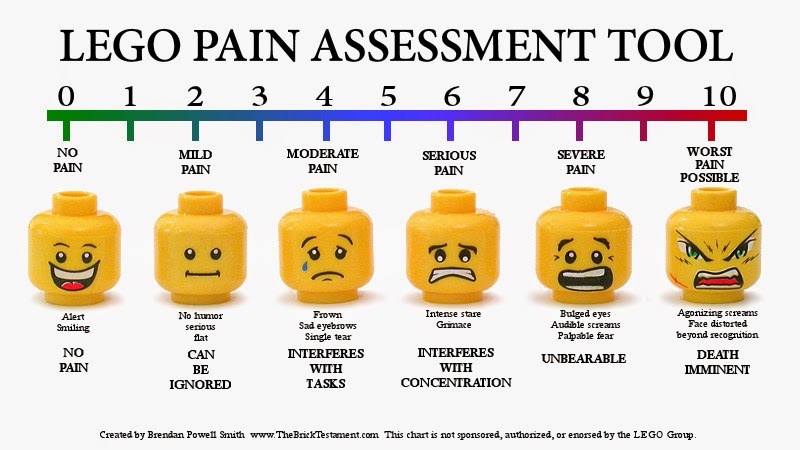 A plan of care which includes standard social work assessment of pain can be helpful to the RN case manager, however. There are a number of scenarios where a social worker may be privy to pain issues even before the nurse is. When patients reveal pain to me, my first question always is, “have you told the nurse about your pain?” It used to surprise me how frequently patients admitted they hadn't told the nurse about pain. Based on my own experience, these are the different types of situations where social workers may be the first to know about a patient's pain. This is perhaps the most common situation in which the social worker might first be privy to a patient’s pain issues. Patients know that social workers do not administer drugs and therefore we are not a threat to their anti-medication stance. I have seen patients say they have no pain simply because they were afraid if they admitted pain they would be told by the nurse to take medicine. This is a false assumption of course, however it takes time to build trust. Patients don't automatically know that the hospice team will respect their wishes to not take medicine. Social workers can inform patients that even if they choose not to take medication, it is still helpful for them to let us know when they are in pain. There may be non-pharmacological interventions to their pain issues which can only be offered if we are aware they are in pain. Patients might deny pain because they were trained to push through their pain during their military service, for example. Besides military service, there are cultural, religious or self-image factors that can contribute to an individual believing they need to try to suppress expressions of pain. The pain still exists, but the patient does not admit to it at first. Interestingly, once we break the initial barrier to get a patient to describe their pain, they usually will be more forthcoming regarding pain to the nurse during future visits. If a patient has lung cancer, for example, they may “expect” their pain to be in their chest area. If they also, for example, have longstanding arthritic pain in their knee, they may differentiate their expected pain from their known pain. I have had patients who tell me they don’t have pain, but after discussion, I'll find out that they have chronic pain. Pain is pain. The patient’s denial of pain comes from a misunderstanding that hospice nurses are only there to help with their hospice diagnosis. Hospice nurses are the eyes and ears of the patient’s doctors and can facilitate discussions with the patient’s medical provider regarding other health issues. This can only happen if the nurse is aware of the chronic concerns. The social worker can also be the eyes and ears of the hospice nurse when they're not there. If patients only could see the amazing interaction and coordination of care between medical professionals on their behalf! During the admission process, we provide a list of situations in which family members should call the hospice nurse. I know that the nurses and the social workers usually reiterate our availability every time we visit. Still, there are times when I have gone to the house and am the first one to learn of a patient’s pain or pain control issues. The nurse is not going to know that the patient’s condition changed between visits if the family doesn’t call. Family is uncertain about administration of medication. You know what it’s like when someone is showing you something and you don’t quite get it, but you’re embarrassed to admit that? It happens. Family members may also think during the education they are comfortable with the nurse’s instructions, but then when the time comes to administer medication they get nervous. Many family members are new to caregiving. If patient is unable to verbalize pain, the family member may not recognize nonverbal signs of pain. Patient has pain but family is fearful of patient being “drugged up” and chooses not to administer medication. This is another situation in which the family might feel more open to talk to the social worker because they don’t necessarily associate us with the medical care. Hospice staff visit patients wherever their “home” is. Many elderly hospice patients reside in assisted living or nursing home environments. Assisted living facilities are not necessarily set up to be medical facilities and may have limited on-site nursing staff. While nursing homes have a higher staff to resident ratio, there can still be pain control challenges for hospice teams. The hospice team relies on the facility as the “proxy family” to keep us informed. If a hospice patient only has intermittent pain, the patient may be prescribed medication on a PRN (as needed) basis. When the hospice nurse visits, they assess pain and they act accordingly to obtain and administer medication as needed. When a social worker visits, we are not able to give medication; we need to ask a facility nurse. This is where opportunities can be identified by social worker thinking about pain. Even scheduled medicine in facilities can become an issue if the patient has a change in condition and the medicine is not holding. A hospice social worker who understands and is aware of pain issues will be able to notify the hospice nurse of a change in condition. In fact, social workers could happen to be the first ones to see a change in condition. The primary contact for the patient at a facility is often the aide. If the patient is not verbal, the aide may not always be trained in the more subtle signs of patient pain. 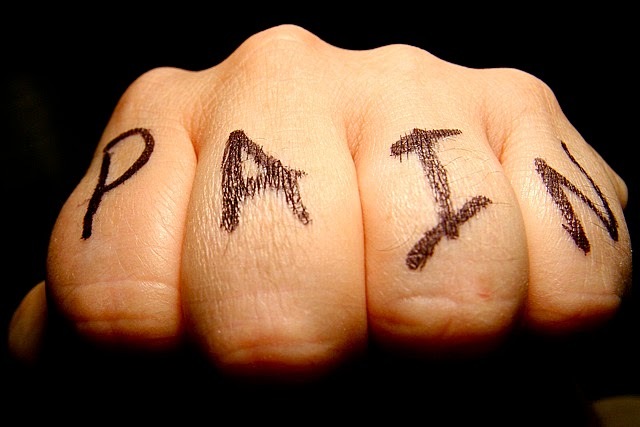 The patient has pain…now what? A patient has told me they have pain. I ask them to give it a number. I ask them to describe the pain. If patient is in a facility, I would notify the facility nurse. If patient is at home, I make a judgment call to determine whether to call the hospice nurse now or later. I ask if the patient has medication they can take. If I learn at that time that the patient does not want to take medication, I will wait to inform the nurse until after the visit. If the patient does not have medication, or does not know how to administer, or has a pain level over 4, I will call the nurse during the visit. I do this so the nurse can further assess the pain with the patient over the phone. The social worker involvement in pain assessment is purely to provide additional information to RN case managers. Social workers should be very careful to recognize their role in pain control is not to give information or education, but to receive. Social workers should reinforce with the patient the need for them to share their concerns about pain or medication with the RN case manager. If social workers are the first to hear of pain issues from or about a patient, the social worker would want to inform the patient that the social worker will be communicating the new information to the RN. Ultimately, the best care that the hospice team can provide to the patient and family is a holistic approach by an integrated, coordinated team that works with and not against the family and/or the facilities. Lizzy Miles, MA, MSW is a hospice social worker in Columbus, Ohio best known for bringing the Death Cafe concept to the United States. You can follow her on Twitter here. I've tried to summarize some of the key points from some sessions of this amazing palliative oncology conference! This post focuses on those areas which were clinically meaningful or could be easily implemented in palliative care programs; all of which I brought back to my team. (There were some presentations on research or complex interventions such as decision support or telephone-based systems which showed some impact but these are not discussed in detail here because they are not as immediately relevant). Some of my own takeaways are here as well as those of the many that I talked to at the conference - I've usually tried to put these in parentheses. Look at the tweets as well - #pallonc - there are lots of great comments there! Anne Walling from UCLA presented on unmet symptom management needs for cancer patients from a large national survey. Unmet needs were defined as patients who had a symptom, stated that they wanted help for the symptom, but had not received that help from their physicians. 15% of patients had an unmet need - most prevalent were fatigue, dyspnea. Poorer communication was related to a higher risk for unmet needs for symptoms. David Einstein from Tufts presented on a survey of residents about CPR discussions in advanced cancer patients and found dissatisfaction with the discussions - although residents were aware that the patients had very low rate of possibility of surviving CPR, a minority felt that it was appropriate for them to give a recommendation about CPR - they tended to feel that patients should make their own decisions. They didn't feel that they needed more training. More senior training year was correlated with a higher rate of including a recommendation. Joanna Paladino from Dana Farber presented beautifully on how the interventions was implemented and barriers to implementation in early results of an advance care planning intervention in oncology involving triggers and a communication guide which was provided with the billing form. This is based on best practices in advance care planning for oncology: start early; address information needs and prognosis; focus on values, goals, priorities, psychosocial concerns; well-documented. Not just filling out an advance directive. Most oncologists (this was a volunteer sample, and small sample to date - early in the study) did do advance care planning with included patients and document this, although it often took multiple triggers. The most important oncologist-reported barrier to having the conversations was the oncologist feeling that the timing wasn't right or that there were other priorities for that visit (not having insufficient time to have the conversation). Patty Ganz talked about the overlap between palliative care and survivorship - it really is a continuum and both approaches should incorporate elements of the other (we try to do some survivorship work in our palliative care clinic - preparing patients for the next phase or working with those survivors who have persistent symptoms or are still on a lot of extra medications for symptoms). This is a place we can help set expectations as well - there were some different opinions expressed on this; Dr Ganz was concerned that telling patients too much about side effects could set patients up to have more problems and thought that monitoring patients more closely was a more appropriate approach, whereas others during the conference stated that patients should be educated about potential side effects (such as fatigue) up front so they would be aware that these could be related to the cancer or treatment and report them. Tim Ahles spoke about post-treatment cognitive problems and the takeaway for me was the importance of evaluating for this in patients at high risk, which we often don't address well - in particular, older cancer patients with multiple conditions have a high rate of pre-existing cognitive impairment. We know that this can affect treatment, decision-making, and caregiving and the risks of the medications we prescribe for symptom management, and it would be important to be more cognizant of this and screen for it more frequently than we do. Lynn Henry talked about aromatase inhibitor-associated musculoskeletal symptoms, which is also a common issue and one that we've tried to work with patients in our palliative care clinic about - it can be very debilitating, but now that there are multiple options, it may be worth rotating medications. Evidence for now is for exercise and weight loss - no other good evidence currently for effective interventions, although trials ongoing. There were many lovely moments in this session - I've tried to capture a bit of this below. Anthony Back spoke about communication - including PAUSE for early - Pause: take a moment to initiate, Ask permission (explain why), Understand (ask about values), Suggest: find a surrogate -Emphathize - expect emotions. Check www.vitaltalk.org - there are suggestions for how to do all of this. A key point is that there are ways to respond to statements such as "I only want to talk about positive things" - using empathy, asking more questions about what they mean by positive is an opportunity to ask about meaning and values and also what they're scared of. REMAP is the acronym for late EOL: Reframe (status quo isn't working), Expect emotion (empathize 1st), Map: what's important, Align: with deep values, Plan: match treatments to values. A couple of nice points - "do you have any pictures of that on your smartphone?" a way to connect with the patient. He also recommended the movie, "Boyhood". BJ Miller gave us some perceptions from his Zen hospice perspective - reminded us that bringing in extra disciplines is critical (others reminded me of this is critical - bring in the SW and chaplain! - we need these other disciplines to do good palliative care, although many of us don't have good access, we need to keep working on that). He also talked about suffering as a universal experience and something that we can all relate to with our patients, and that there are many other types other than the physical/ prescribing medications, and that this is often what we are afraid of when we talk about dying, rather than the dying itself. (I have many patients who will say that it is the pain that they're afraid of - and it's important to empathize with this and state that we will be there for them if that happens and that there are many things we can do, rather than try to promise that we can prevent this). He reminded us about music, art, poetry, film, nature - all the incredibly important aesthetic things we can do to help relieve patients' and families' suffering (and our own as care providers). We need to pay attention and listen. Jennifer Temel spoke about the increasing challenges of prognostication in oncology - that this will become more and more individualized and dependent upon patients' responses to treatment - need to work closely with oncology colleagues to communicate about prognosis, especially early in patients' cancer care. (It also depends on many factors that may not be in prognostic tools and on trajectories over time, which the longitudinal oncologist may better address). She also spoke about the critical importance of individualizing palliative care, which others also addressed at the conference - it's not one size-fits-all, and often needs to change over time. She also spoke about the infeasibility of implementing these very intensive palliative care interventions from the Temel and Zimmerman clinical trials into practice in most settings. She also stressed that even when the oncologist is very skilled in palliative care, there is often still a role for palliative care - the patient may not want to/ feel comfortable discussing these issues with the oncologist who they're afraid might stop chemo or are their hope for improving survival - and the patient may be willing to address these issues with a palliative care clinician. It really should be an integrated/collaborative care model, not a referral model to specialty palliative care. (One comment was the more palliative care you have, the risk is that the oncologists may be doing it less themselves - Ifor example: when an oncologist doesn't deal with the pain at all, and the patient suffers for 2 weeks until the palliative care appointment happens. Just something to watch out for). Jamie von Roenn - "Palliative care ALWAYS" - anticancer treatment sometimes". (This approach might make our fellows/oncologists/radiation oncologists more comfortable with the fact that with offering palliative care interventions, such as symptom management, they are always doing something for the patient.) Also, she made an impassioned statement that often when oncologists say that the chemotherapy is "palliative" - we should really be using this term for chemotherapy which is given with the primary purpose of relieving symptoms, which is rarely the case - if it's given with the purpose of increasing survival, for patients with symptoms unlikely to be helped by the chemotherapy (or where the chemotherapy is more likely to make them feel worse), or when the patient is taking the chemotherapy with the intent of cure - we should not be calling that palliative chemotherapy. Dr James Zabora gave the SW/psychosocial perspective and focused on the importance of the availability and use of psychosocial interventions, many of which have a strong evidence base. He discussed the PLISSIT approach to evaluating sexuality - that we should be asking about it more, and the first step is asking permission - and the HOPE approach to spirituality. He really focused on using a problem-solving approach, which includes specific skills, rather than just addressing coping, and discussed that there were many psychosocial interventions with a strong evidence base (that may be available through community-based cancer organizations if not at your institution). There were a lot of great posters and the discussions and environment were very stimulating - I didn't get to see a lot of them, but they should all be available through the virtual meeting - here are a few that stood out. In particular, there were many posters on integrating palliative care into outpatient oncology in a variety of settings and countries with many perspectives, such as the poster by Mary Buss - a key point that I took away is that many people are doing this, but it is likely most practical/appropriate for patients later in the course of the disease, rather than at the time of diagnosis, in actual practice, given limited resources and the challenges of screening effectively. Sarah Livermore presented on the use of delirium screening in outpatient palliative care using a newly validated tool, the FAM-CAM, that I am going to go back and try. And a shout out to my great colleagues from Hopkins - our oncology palliative care team, presented by Colleen Apostol that screening cancer inpatients at risk for critical care and promoting goals of care meetings for those patients was associated with reduced use of critical care and increased use of hospice. And from one of our fellows, Isaac Bromberg, that only half of oncology inpatients who went to acute rehabilitation ever got more chemotherapy, and of those who didn't, almost all died within 6 months - so that consideration of acute rehabilitation should include consideration of palliative care consultation as well. 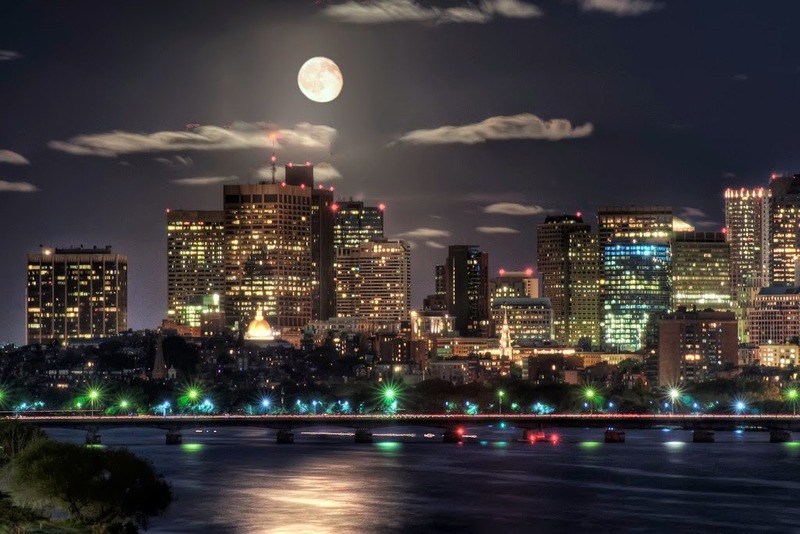 The palliative oncology conference will be in Boston again next year - it sold out before the early bird deadline - I highly recommend this conference and if you're interested, be sure to sign up early! And for those of you who are not physicians - there was some interdisciplinary content, but could certainly be much more - would be great to see some other types of professional societies (eg, HPNA) be involved as sponsors of the meeting and have more presentations from other specialties, as we have with the AAHPM-HPNA meeting. There is also a virtual meeting available (pallonc.org/arc) and many of the posters, etc are online. Sydney Morss Dy, MD, MSc is Physician Leader, Harry J. Duffey Pain and Palliative Care Program, Johns Hopkins Sidney Kimmel Comprehensive Cancer Center, where she has had the great good fortune to work closely for many years with clinical pharmacists, pain specialists, social workers, and a psychiatric liaison nurse, who have taught her much about pain management and the use of opioids. 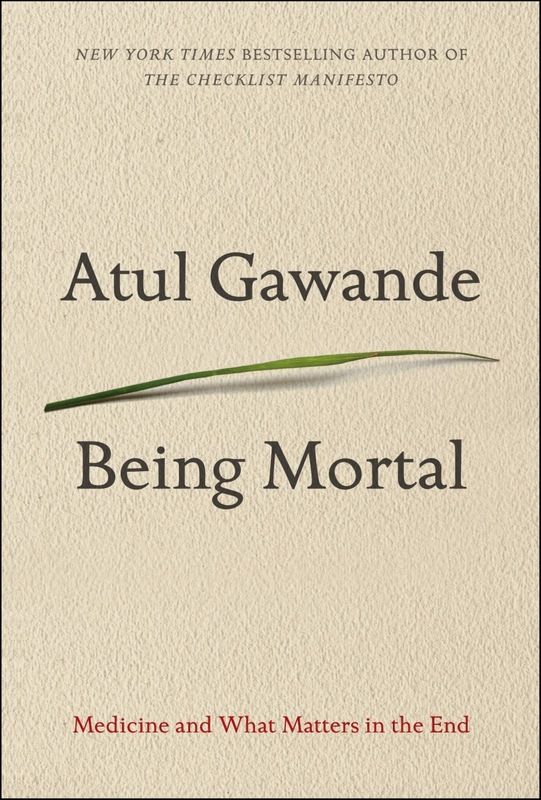 A Physician Review of Atul Gawande's "Being Mortal"
The perspective of the storyteller is at the heart of Gawande’s latest book Being Mortal: Medicine and What Matters in the End. He tells us that life is meaningful because it is a story (p 238). In our current society, the end of the story tends to be one of dwindles and loneliness in a nursing home or of anxiety-driven medical interventions within a hospital. He offers up a different story. Gawande describes styles of assisted living that truly assist living; champions the need for geriatricians; and encourages each reader to “contemplate the unfixables in our life, the decline we will inevitably face” (p 47). He reminds readers to think not simply about being mortal, but also about what makes life worth living. Through telling the stories of others, he draws out the importance of defining the simple joys and components of quality of life. In the second half of the book, Gawande shows how palliative care can help in defining what matters most to a seriously ill patient. 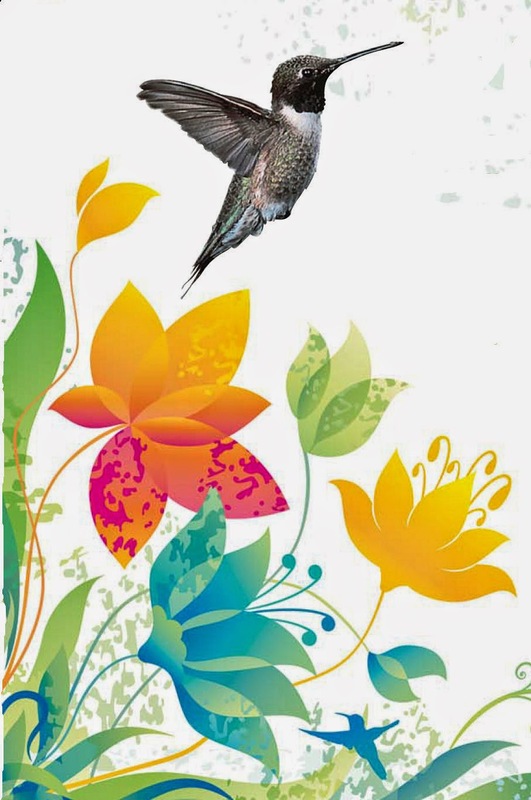 Through time with a hospice team he learns, “The difference between standard medical care and hospice is not the difference between treating and doing nothing… the difference is in the priorities” (p 161-162). Within hospice and palliative care, the priority of quality of life becomes emphasized over quantity of life (life extension). He points out that having better quality can lead to quantity. Gawande also talks about patients and families not ready to confront the reality of incurable disease. As Jon Stewart summarized during the October 5th interview on The Daily Show, Gawande shows how a conversation about mortality can be reasoned and compassionate. Gawande learned more about such a patient-provider conversation style from Dr. Susan Block. He outlines the content of his lessons from her, including advice to limit the phrases that distance yourself as a human from the patient in front of you: “I wish things were different” or “I am worried” (p 182). And because this “storyteller” (or reviewer) read the book as a palliative care provider, I found the book to be more than a 286-page advertisement for the work we do. I appreciated his description of Carstensen’s work on the “socioemotional selectivity theory” showing that when life’s fragility is primed, people’s goals and motives in their everyday lives shift (p 94–99). I noted the buried call for meaningful metrics within the world of assisted living (p 105) as well as the call to train palliative care providers out of business (p 260). I chuckled when he shared how he was asked if a patient was dying and he noted, “I wasn’t even sure what the word ‘dying’ meant anymore,” (p 157) and goes on to say “We’ve built our medical system and culture around the long tail [of a patient-survival curve]” (p 175). I resonated when he said we are asking too much of families when we say “All-out treatment, we tell the incurably ill, is a train you can get off at any time – just say when” (p 187). Whenever I am in a care conference and hear that phrase, I let families know that palliative care ensure we stop at the train depots and talk about whether to stay on the train. I recognized the pendulum between the paternalistic relationship and the informative relationship and his appreciation for shared decision making, or a middle ground called “interpretive” (p 199-202). “Endings matter, not just for the person but, perhaps even more, for the ones left behind” (p 232). Such awareness from his own father’s story speaks even more to the world of pediatric palliative care. As he summarizes in the epilogue, “being mortal is about the struggle to cope with the constraints of our biology” and our job in medicine is not only to ensure health and survival… “it is to enable well-being” (p 259). Being Mortal (the book) highlights the importance of talking about what is important for feeling good in everyday life and letting those things guide us as the end of life draws near. On September 25, 2014, California Governor Jerry Brown signed a Senate Bill which requires the Department of Health Care Services (DHCS) to assist Medicaid managed care plans in delivering palliative care services. Essentially all Medicaid patients in California are in managed care plans. Because Governor Brown and lawmakers love palliative care… well, I hope so, but The California State Health Care Plan is focused on four different aspects of the health care system that experience particularly high costs—uncoordinated care for people with complex chronic conditions, maternity care, end of life care, and accountable care communities. Within this initiative, a pediatric palliative care pilot program called Partners for Children actually incentivized this law. The pilot showed significant cost savings for the State’s Medicaid program. Preliminary analysis indicates that the program improves quality of life for the child and family, average days in the hospital fell by one-third, and shifting care from the hospital to in-home/community based care resulted in cost savings of $1,677 per child per month on average. This is exciting!! What are the next steps? DHCS will consult with stakeholders to establish eligibility criteria for palliative care services. DHCS will establish standards and provide technical assistance for Medicaid managed plans that ensures delivery of palliative care services in a manner that is cost-neutral to the general fund. What services could be provided? Essentially hospice-like services—similar interdisciplinary services provided to Medicaid hospice patients. Hopefully in consultation with stakeholders, DHCS will determine the amount of services needed. Curative treatment is also available, to the extent that the services are not duplicative. It depends on the eligibility criteria set by DHCS in consultation with stakeholders, but generally individuals whose conditions may result in death, regardless of the estimated length of the individual’s remaining period of life. Who could provide these palliative services? The eligibility criteria could be a stumbling block. The criteria can’t be too hot or too cold; they need to be just right. The world of hospice care knows how difficult admission criteria or guidelines can be, but at least here we won’t have to foretell the future with a specific prognosis. While the pediatric pilot program is producing good data, one could argue that the criteria are too strict in some areas. For example, very ill children sometimes suffer from rare diseases that do not fall into the disease specific criteria. While there is an “other” (non-disease specific) category, providers tell me it has been difficult to refer under this category. Hmm, makes me think about debility unspecified. Reimbursement for programs could be another stumbling block. Hospices and home health agencies will not be lining up to participate if they have to run these programs at a loss. After the initial three-year pilot period, the reimbursement for programs needed to be increased as some programs were struggling to break even. A monthly administration payment was added. Hopefully they have found the win/win/win spot. The current reimbursement for the pediatric palliative programs (extrapolated from information in the bill) is about 21% of the hospice routine level of care reimbursement. In short, the same level of care cannot be provided. Maybe the difference in reimbursement is fine because the acuity of care should be less, but it might be difficult for hospices to flex their staffing and visit models for these patients. It may require a ‘new’ team focused on these patients specifically. The California Hospital Association was a supporter for this bill. Many hospitals and health systems will face significant losses if patients are readmitted to the hospital within 30 days after discharge. I don’t know about you, but I know a number of patients who are frequent flyers in spite of a tidy discharge plan. This new service could have a significant impact there. As demonstrated by the pediatric pilot, this is an opportunity to show how palliative care can improve the value of care (high quality, low cost) in a much larger way. If data collection is done correctly, my hope is that it will bolster the growing evidence that palliative care not only improves quality of life, but also helps people live longer. Finally, if California doesn’t stumble too much, this could be a nice blueprint for other states. Gary Buckholz, MD, FAAHPM is an associate clinical professor at UC San Diego and part of the Doris A. Howell palliative care consultation service. When my adopted hometown of Kansas City is going this crazy over the Royals being in the World Series for the first time in 29 years, you start to get caught up in the fun. So to add another layer on top of the fun, I decided to make a friendly wager with San Francisco's very own Eric Widera and Alex Smith of Geripal. Several bloggers for Pallimed are based out of the Kansas City metro or have Kansas City roots (Amber Wollesen, Amy Clarkson, Holly Yang, Emily Riegel, Gary Buckholz, Jenni Linebarger, John Hennessy) although we (like Geripal) have representation from all over. So we have the San Francisco Giants/Geripal versus the Kansas City Royals/Pallimed for the World Series of Baseball/Blogs. - For each loss in the series, the losing blog must write a post for the opposing blog. So, for example, after the Royals crush the Giants in Game 1 Tuesday night, a Geripal blogger will write a post for Pallimed. Timing doesn't have to be the same night, so when the Royals complete their sweep 4 games to zero, the Geripal authors can take their time writing their wonderful palliative articles. -In addition, at the end of the series, the losing blog must send a dinner themed from their city. 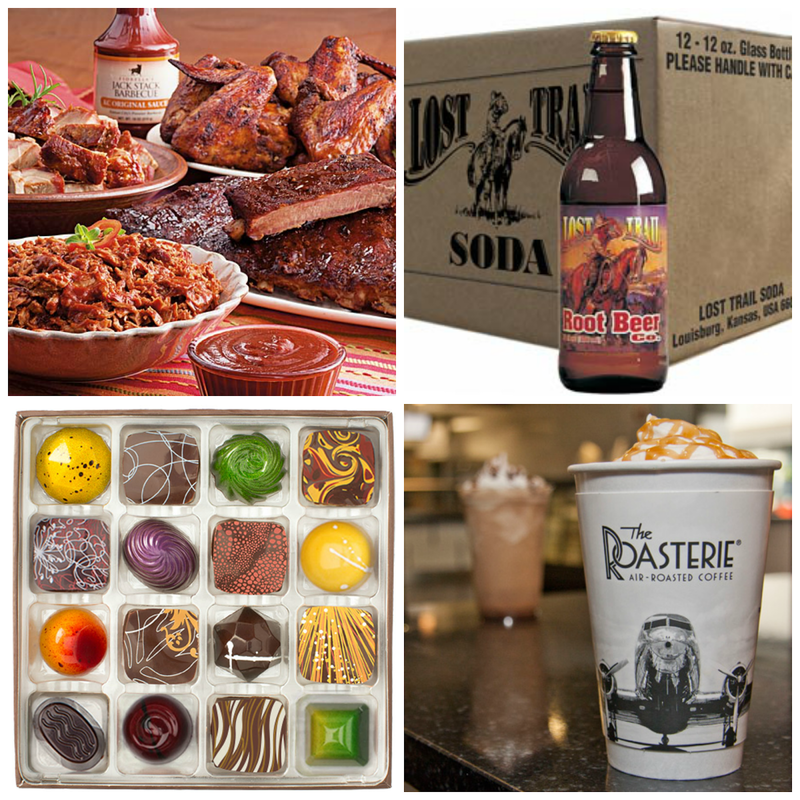 So for example, in the unlikely event that the Giants break America's heart since the nation is obviously rooting for the Royals, we at Pallimed will send burnt ends and BBQ from Joe's Kansas City, Boulevard Beer Tank 7 Farmhouse Ale, and Christopher Elbow chocolates. When the Royals win, GeriPal will send Pallimed a dinner of something like sourdough bread, Mt. Tam Cheese, and It's Its. We may negotiate the finer details, but those are the basics. If you the readers come up with any other grand ideas for this wager, please let us know! And Alex and Eric...Hunter Pence thinks a blog is something that comes out of his nose. Who doesn’t feel a wrenching in their heart? The Ebola virus, first recognized in 1978, killed less than 2000 people in its first 35 years and double that number in the past 10 months. According to the World Health Organization 416 health care workers have contracted Ebola and, at least, 233 have died. That is almost 6% of deaths. As we all know a new, more widespread outbreak of Ebola had started. I began to read about the virus, the symptoms, the treatment, and the spread. And I recalled my month long work at a hospital in Zambia a few years ago where the TB isolation ward was anything but and supplies rarely arrived as planned. A few weeks ago, I started thinking, “I could go help out”. For one of the first times, my skill set was needed. Gowning up and providing supportive care is what I do best. A palliative care doctor could do a lot more for a patient with Ebola than a trauma surgeon, an electrician or a body retrieval dog. And given the lack of infrastructure, soldiers are now being sent, including 150 from nearby Fort Campbell, to build hospitals and use their other non-combat skills. I kept thinking I could go to West Africa with full understanding the risk was high I may not come back well, or even alive, because that is already happening to our palliative clinical peers. 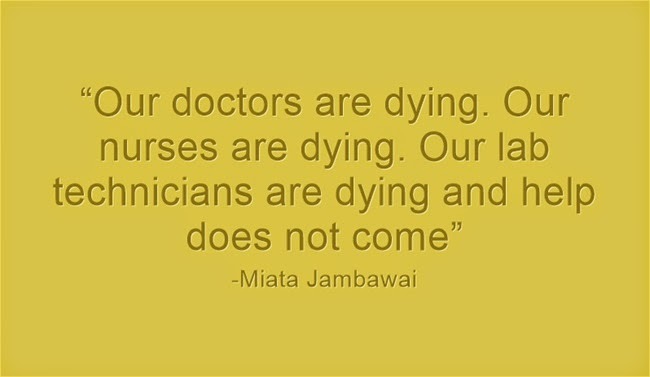 Miata Jambawai, a member of Sierra Leone’s Ebola Rapid Response Team writes, “Our doctors are dying. Our nurses are dying. Our lab technicians are dying and help does not come”. One of the doctors she referenced was Olivet Buck, a palliative care specialist, the 4th Sierra Leone doctor to die from the outbreak. William Pooley (link? ), the first Briton known to have contracted Ebola is a palliative care nurse who selflessly volunteered to work in a Sierra Leone hospital where 15 other nurses had died. He was infected with Ebola and survived and today is starting work again to help others with Ebola in Freetown, Sierra Leone. I could die and for the first time in my life, I was consciously ready to die. I am slightly past middle aged, my daughter is about to graduate college and very capable, my dog is old and won’t be around much longer. I have traveled all over and done pretty much anything I wanted to do. I was OK with the risks of going to Africa. Trouble was, no one else agreed with me. No one else thought my life was worth the help I could give. When I told my daughter, she was aghast and dead set against it – she was so afraid of losing me, that I couldn’t bear it. My friends reacted similarly. Only my boyfriend encouraged me but he’s a different breed altogether and has a physicist’s perspective on risk. I didn’t go, but this is what I learned. When a patient hears they have a terminal illness, they may be totally ready to die but if family is not ready – there is little they can do to change the outcome. At some point, of course, biology takes over and death ensues but until then, what a mish-mash of emotions. If you have been in hospice and palliative care for any amount of time, you have likely seen the patient who is ready to die, but the family is not there emotionally yet. Imagine someone with ribs so skeletal there was no space to place a stethoscope and whose black gangrenous foot throbs below the covers. She says to you, "I hope it won't be too long, because I am ready." In response, her family nervous but cheerily quips, “You might outlive us all.” Hoping for a natural death but trying so hard to stay for others. I have never thought so intimately about this from the perspective of a patient. Mostly I think like a family member – I don’t want anyone around me to die. This lesson may pale in comparison to the weightier dilemmas and challenges of Ebola but represents the one and only positive outcome I see from this tragic disease. Ann Colbert grew up in Michigan, completed her residency in Rochester, NY in 1985, moved to Northeastern Kentucky to work as a Family Practitioner until shifting to full-time Palliative Care in 2003 - still in rural Kentucky. She is a multi-instrumentalist wannabe and enjoys many outdoor endeavors. 1. A learner’s mind. As medical social workers, we are well served if we continue our learning beyond the classroom and into palliative care practice. We need to be able to synthesize medical knowledge and connect it to our social work skills. We also need to be able to translate this “foreign language” into lay-speak. In palliative care, this includes relaying disease course, coaching patients through scary internet searches, and guiding families through uncomfortable conversations, like telling someone that their son might not die for a few days after the breathing tube comes out. 2. Flexibility. We need an ability to learn about various psychosocial interventions and how they can be creatively applied to the palliative care population. We need to know how the mind and body interact and need to flex how we apply this information to patients and families exhibiting signs of stress. We also need to be flexible with the tools in our toolbox. If something isn’t working, we need to be prepared to switch strategies at a moment’s notice. 3. 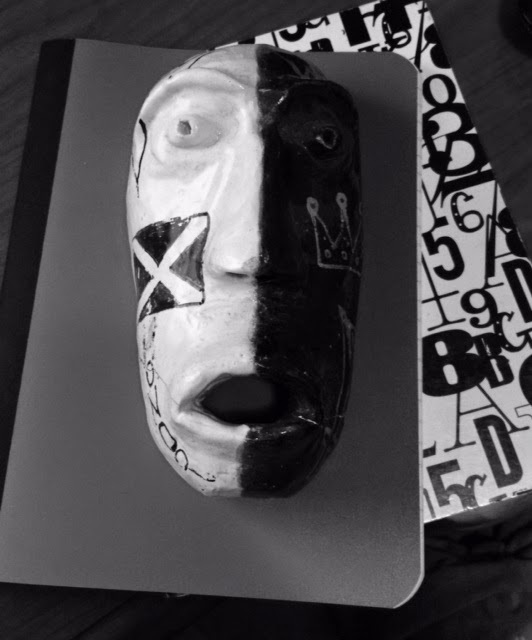 An ability to change masks. We need to be both gentle and direct with our patients and families based on their needs in the moment. This involves building trust in a short amount of time and being honest throughout interactions. Within our organizations, we need to be able to move between the bureaucratic world and the world of medicine, all while keeping our clients’ best interests in mind. 4. Selfishness. We need to be able to attend to our own self-care and create balance in our lives. We are great at coaching and supporting others through their moments of crisis, but we must also attend to ourselves in order to sustain our health and practice what we preach. 5. A voice. It is a given that we need to advocate for our patients and families. However, we also need to speak up for ourselves to prove our worth and value to the team and other practitioners. We need to be leaders in our organizations, not just in social work, and we need to ask for more than just leadership tasks. We all have graduate degrees, and many of us are licensed and hold advanced certification in the field. If you are a palliative care social worker (or want to become one), how can you cultivate these traits? • Connect. You do not practice in a vacuum so see what other social workers in the field are doing. Utilize resources such as the Social Worker’s in Hospice and Palliative Care Network (SWHPN) or listservs such as SW-PALL-EOL. • Reach out. Ask questions of the group or of individuals. Look back in archives to see what has been talked about before and who might be a good contact for you on a specific topic. • Stay current. Keep up with articles in and around the field. We have a great journal in the Journal of Social Work in End of Life and Palliative Care, but there are other journals out there that are relevant, so expand your parameters. • Seek supervision. Who else in your community/practice/organization can share their experience with you and help you reflect on your interactions? I think you’ll find that palliative care social workers are a helpful bunch and most of us want to raise the bar on the field, not raise ourselves above it. If you are looking for a palliative social worker, what are some questions you can ask about these traits? • How do you stay current in your field? • What is a creative intervention that you have used or would like to try? • How do you build trust with your clients? • What do you do for self-care? • How will you be a leader on this team? Another way to ask about these traits might be to present a case example and ask the social worker how he or she might demonstrate these traits with this patient or in this circumstance. Overall, your questions for the social worker should seek to challenge the social worker to think on his or her toes just as this person would in practice. In the end, whether you are looking to be the best social worker you can be or find the best social worker you can find, the field of palliative care is one that is filled with creative energy and poised for advances. Palliative social workers are in a position to enhance both the palliative care and social work fields through their key roles on interdisciplinary teams. These traits can serve as a place to start that creative drive and push our skills beyond the basics. Allie Shukraft, MAT, MSW is a pediatric palliative care social worker in Charlotte, NC where she loves reading and walking with her dogs. Although she is still learning how to use it, you can find her on Twitter (@alifrumcally). Palliative Care Review of NIH's Opioid Webinar "Pathways To Prevention"
Years ago, when the local home hospice we worked with at the time supported physician home visits, I did an urgent visit on a Saturday night for a dying patient in a lot of pain with no medications in the home. I remember thinking how helpful the nice-looking young-adult grandchildren were with asking questions about what the concentrated morphine was that I obtained for them and how to use it. Unfortunately, I was unpleasantly surprised the next day to get a call that the patient needed another prescription for morphine... because those nice-looking, helpful grandchildren had used the first prescription for their own purposes that Saturday night. Now that I've worked in palliative care in a cancer center for many years, I've become more and more aware of patients on chronic opioids - either on these medications for back pain or other issues before they come to us with their cancer, or patients who end up on them chronically after their cancer is treated - who clearly seem to be having more problems from the opioids than being helped by them - and often end up taking them in other ways than prescribed. Personally, I have learned to be far more cautious with opioid use and set expectations that we're going to get patients off of them when we are using them as short-term solutions, and we spend a lot of time getting patients off of opioids or dealing with opioid issues in our clinic. Clearly, opioids are an incredibly important tool for pain in palliative care - but they also have tremendous risks and burdens for our patients that we need to continually consider in our prescribing, and we need to be able to deal with these issues as palliative care clinicians, especially in the outpatient setting. I was therefore very interested in the recent conference on Sept 29-30, "Pathways to Prevention - The Role of Opioids in the Treatment of Chronic Pain", which included a systematic review of the literature on this topic and presenters by many experts in the field, including Russ Portenoy. Here is a brief summary and some key points that I took away. There is very little new helpful high-quality evidence that has been generated over the past decade on this issue, and many of the important issues will not be addressed in clinical trials. For areas where there is some evidence (e.g., risk of addiction with long-term opioid use), evidence is conflicting and studies are often short-term; long-term evidence is unlikely. Regardless, evidence is accumulating on the long-term risks and safety issues with opioids, both for patients and for those that end up getting the opioids from patients for whom opioids were legitimately prescribed; and many patients clearly do not seem to be benefiting from long-term opioids but end up being maintained on them because of the difficulty of getting them off and lack of available alternatives in most places in the US. In addition, most patients do not get adequate risk assessment and monitoring while on long-term opioids - these resources are rarely available and it is very time-consuming - and risk assessment before starting opioids is not very reliable. Very cautious about any chronic opioid use & lots of expert opinion (if not data, although we may never have this data) that it doesn't work for the majority of patients ... that we are often escalating opioids without necessarily giving patients value, other than having them feel that we are doing something. Clearly there are some patients who do very well and are helped by long-term opioids, but the challenge is that there are many patients who aren't and it is difficult to predict who will - and for patients who don't benefit, it's very challenging to discontinue. If we do use them - this requires very close monitoring, use mainly of long-term opioids. We should not expect anyone to manage a prescription of hundreds of pills. I am always reminded that most abuse happens with short-term opioids and that it is much easier to get into difficulty with them, and much more difficult for us to control as providers. - It's easy for patients to take too much opioid - easy to forget that they had just taken a dose or just to take some extra medication when they are not feeling well. Opioid risk assessment should be done before starting for any prolonged period of time, for everyone - note that this is challenging and often does not work, and so risk assessment should be continued. Need for research on tapering off - there is very little on how best to do this and what is helpful. Intermediate-term opioid use (intended for a few weeks or months) should be carefully managed as well - it is easy for this to turn into long-term opioid use without careful monitoring. If we're prescribing opioids, at all - or recommending their use, or teaching about them - we need, as palliative care physicians, to be aware of these issues and have some education in chronic pain and addiction medicine. If anyone else listened/ does listen to part of this conference, or has read some of the articles and guidelines on these issues, or has thoughts from your practice - appreciate hearing about them, especially if you have different opinions!